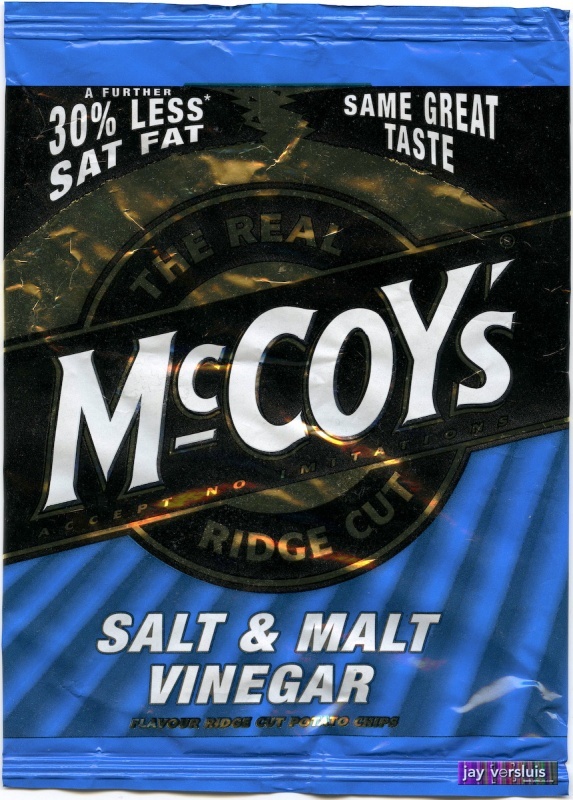 McCoy’s not-so-special series of ordinairy flavours has the original blue for “vinegar” (only Walker’s have swapped blue for cheese and onion flavour). If you ever feel that urge for drastic pain in your mouth, these are for you. Take a whiff and you’ll be unconscious. Take it from us!